Business projectors are today are becoming more and more of an invaluable tool in promoting business growth for SMB’s. Projectors can be used to accomplish a wide number of tasks efficiently such as training new employees, giving market proposals, and displaying important fiscal data. Getting a business projector often times makes good financial sense, from large corporations to small home offices. Projectors display information in a precise and clear and are perfect for presentations and conferences. Business projectors allow the speaker to create dynamic and unique presentations to draw the audience in. Using projection equipment will get your point across more effectively than simply talking. Visual aide will also help the speaker keep his place and not get sidetracked. With the information displaying on a screen in front of you, viewers can take notes easier and a speaker will be more effective on a topic. 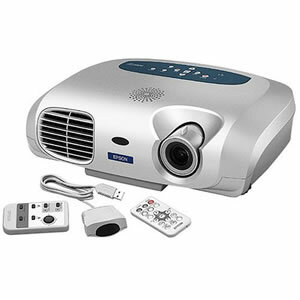 If you are thinking about purchasing business class projector, you may want to consider renting a projector first. Projector rentals are great for short term business projects such as new employee training and offer great diversity throughout the work place. Renting a projector will also allow a business to evaluate the projector and determine if they want to spend a large amount of money on a permanent projector.